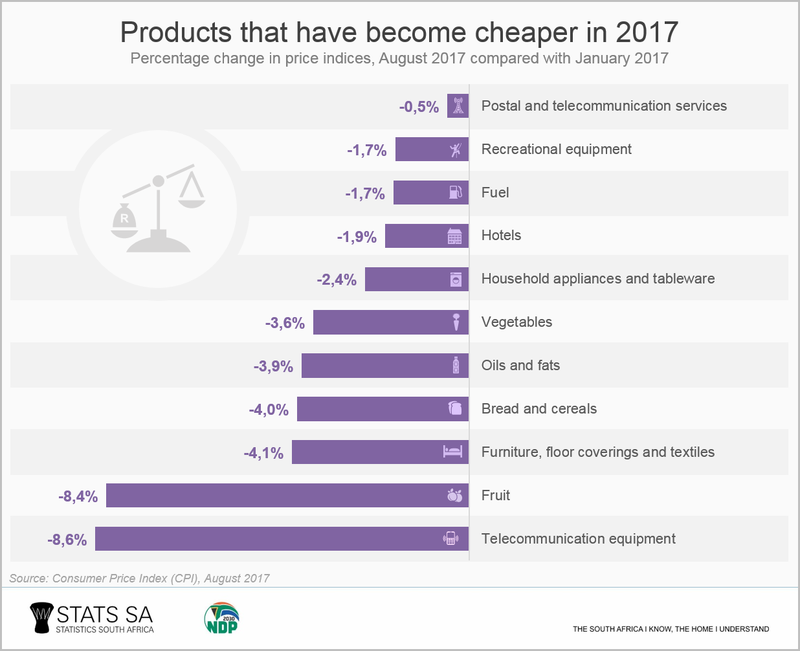 StatsSA has found that technology is cheaper than it was at the start of the year. The institute compared the Consumer Price Index (CPI) for this year from August with January. They found the price of telecommunication equipment dropped by 8.6% and postal- and telecommunication services dropped by 0.5%. The CPI takes the price of a basket of certain goods and services to see how their prices change over time. Economist Mike Schüssler said South Africans tend throw the baby out with the bathwater‚ because we are stressed about employment and unhappy with poor political leadership. Schüssler attributed the drop in technology and communications prices to international trends of increased production and rapid development. He also said retailers who sell luxury goods such as technology and household electronics are struggling and dropping their prices to increase sales. Economist Dawie Roodt said the rapid development of technology also attributed to dropping prices. He said however there have not been large decreases in the prices of data and airtime‚ because companies need a licence before they can sell these goods. “It is not a proper competitive market‚” Roodt said.